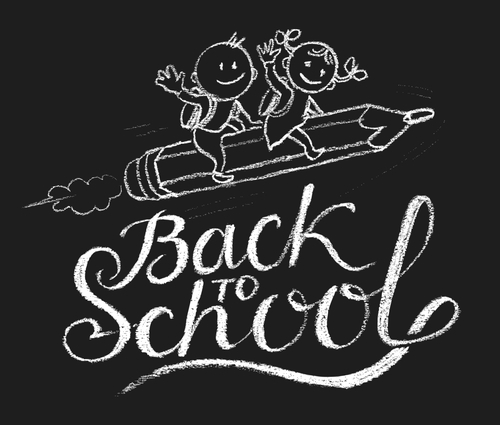 With summer winding down and fall just around the corner, kids and young adults alike are preparing to go back to school. For parents helping their children get ready for the upcoming school year, making a few changes around the home space can be essential to easing back into the school mode with minimal stress. Create a “landing” space by your home’s entry ways – By (or just off of) an entrance to your home, open up a space where your kids can shed (and store) their school gear, including their backpacks, shoes/coats and equipment for extracurricular activities. Having a dedicated space where your children can leave and keep their school (and sports) gear can make it so much easier to get ready to run out the door in the mornings, especially when there may be a few students in your home (or your kids have a bit more gear to take with them and keep track of on a daily basis). Reorganize your pantry and/or fridge to make it easy to grab food on the go – Designate a part (or an entire) shelf in your pantry and/or refrigerator to snacks, breakfast items and school lunch items. Having a specific spot for these food items can make it easier not only to get kids fed (and/or loaded up with meals for their day) but also to keep track of what you’re running low on (so you can pick up more supplies on your next grocery trip). Put a calendar in a central location – On your refrigerator, in your pantry or in some other central location, hang up a calendar where everyone, including the students in your home, can note important events and plans for their schedule. Even if you’re keeping track of these events in some other location (like electronically on a smartphone), having an obvious visual reminder can be important to making sure everyone’s aware of certain plans and/or different family members’ availability. Add organizational bins to the bathroom/laundry room – Specifically, set up a bin system for dirty clothes and laundry (if you don’t already have one). These bins can remind your kids to pick up after themselves while providing a simple method of sorting the dirty clothing that needs to be cleaned. Update your bathrooms to make it easier for everyone to get ready in the mornings – Whether you have a few children vying for time in the bathroom each morning – or you find yourself battling for bathroom time, updating the bathrooms in your home can make it easier for a few people to share the bathroom at once – or for each person to ready faster (so the next person can get in). Refinishing the bathtub and shower in an unused bathroom in your home (to open it up for someone to use each morning). Are you ready to refinish the bathtubs, tile and/or countertops in your home? If so, contact the Denver bathtub refinishing pros at Colorado Tub Repair for a free quote. Call (303) 908-8764 or email us using the contact form located here to speak with one of our experienced and help professionals today.